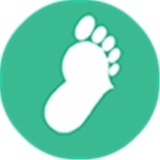 Family Foot Care (Chicago) - Book Appointment Online! At least she gave my mom two choice but I chose both just in case the pain doesn't come back. She gave my mom a shot on her foot! My mom say the shot wasn't that bad. We'll see her again in a couple days.